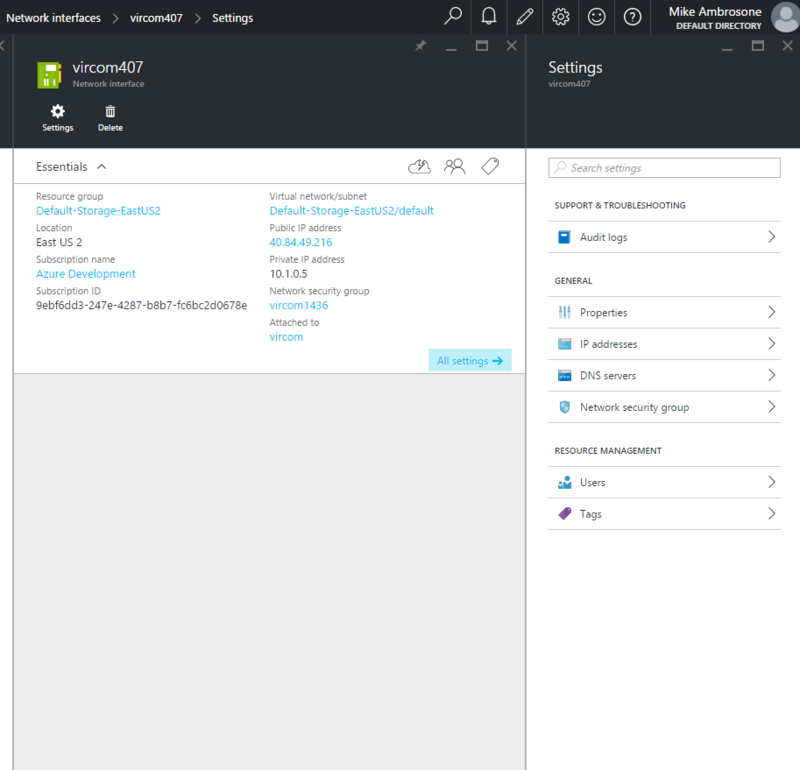 Note: By default VM’s on Azure are configured with a dynamic IP. The IP of the VM will only change every time the VM is Stopped and then Started again. If you Restart the VM in Azure the IP will not change. It’s important to note that it is highly recommended that the VM be configured with a Static IP when modusGate is deployed in a production environment. 1. 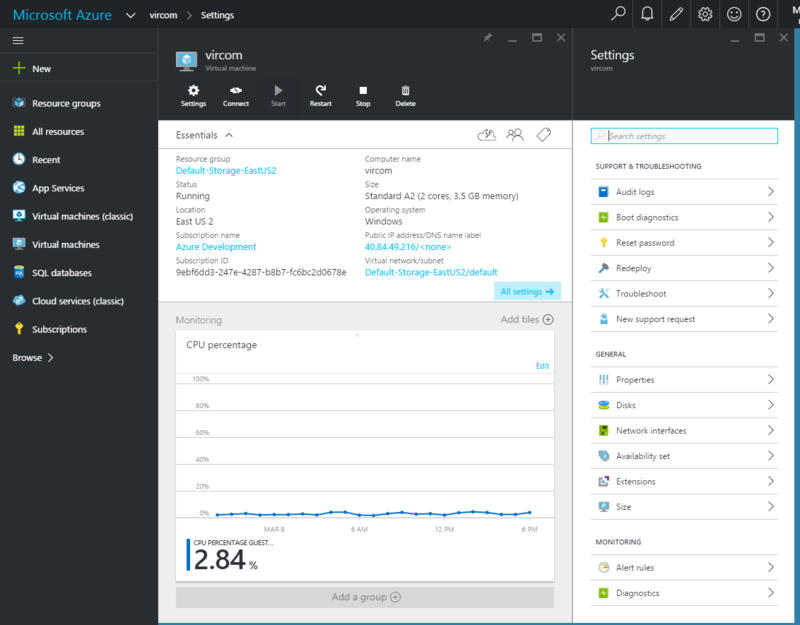 Access the VM running modusGate from your Azure Portal Dashboard. 2. In the Settings panel select “Network interfaces” and then select the configured “Network Interface” that was created at deployment time. 3. Select the “IP Addresses” option from the Settings panel. 4. From the IP Addresses panel select the option “IP Address” under the Public IP Address Settings section. 6. Give the new IP address a new Name and select the Assignment to "Static". 7. 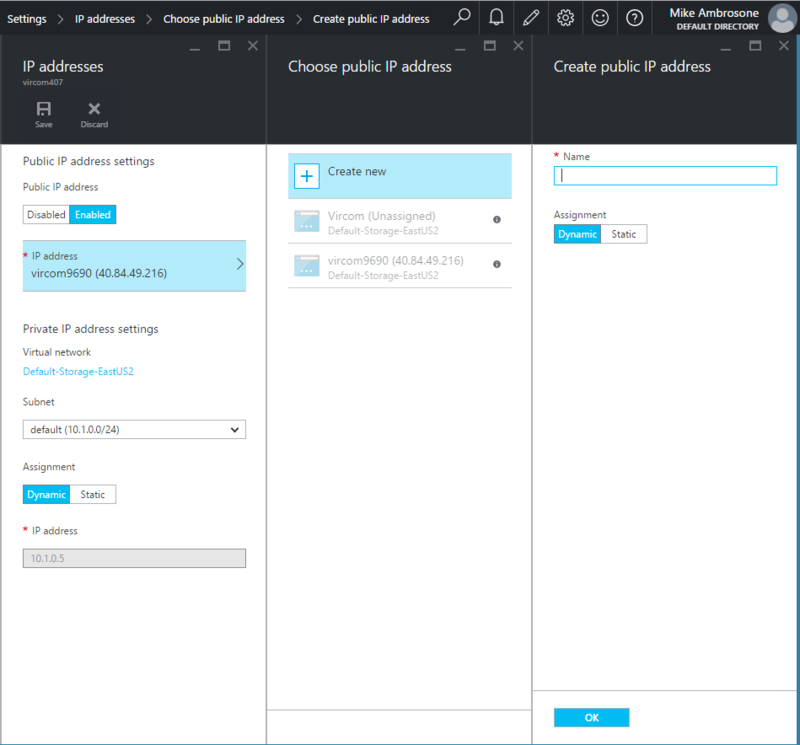 Select the OK button and your VM with modusGate on Azure will be assigned a Static IP. Note: With every Azure Subscription you are entitled to 5 static IP’s. Please refer to the following link for prices of IP’s. If you have any issues, please contact a Customer Support representative at 1-888-484-7266. Next Steps: Changing your MX Records.